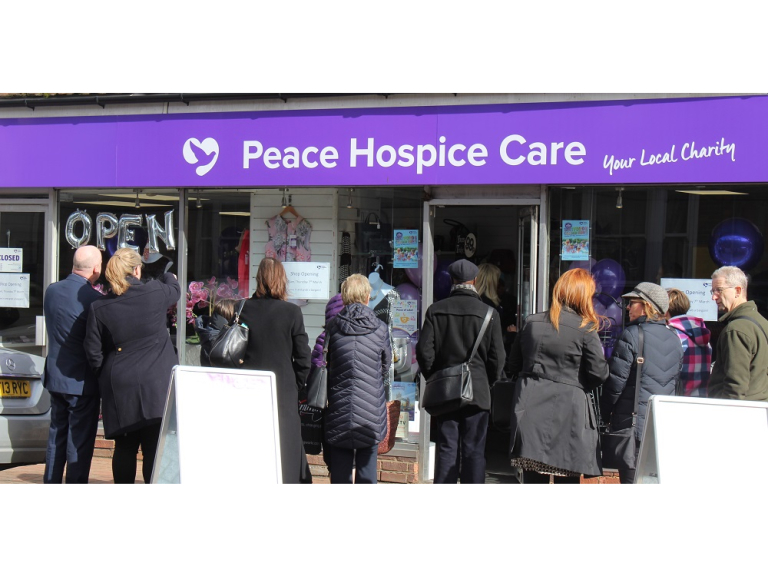 Peace Hospice Care opened its 12th high street charity shop in Apsley, near Hemel Hempstead, today (Thursday 7th March). The shop is located at 64-66 London Road, Apsley, Hemel Hempstead, HP3 9SD took £300 in the first half an hour of opening. The charity is inviting the local community to come and visit the shop and to meet the team who will be running it. Kim Bodman, Senior Retail Manager at Peace Hospice Care, who has worked for the charity for more than 16 years, officially opened the shop. The Apsley shop is stocking a range of items including greetings cards, clothes, toys, shoes, bedding, books and other household items. Apsley is one of 12 Peace Hospice Care shops. The charity’s other shops are located in Borehamwood, Bushey, Chorleywood, Garston, Radlett, Rickmansworth, St Albans, Tudor, South Oxhey, Watford High Street and Watford Pond. The charity also has an eBay shop. For more information about Peace Hospice Care shops, to donate goods, or for Shop phone numbers, please visit: www.peacehospicecare.org.uk/shops. Peace Hospice Care are also currently recruiting managers for their network of Shops.